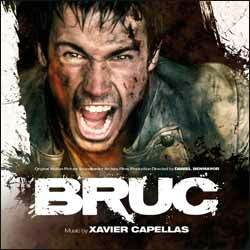 The soundtrack to Bruc is a mixed bag of styles and themes, ranging from the conventional classically scored tracks (such as 'A Defeated Empire' and 'Building a Dream') to the more modern, haunting offerings (as heard in 'Enter the Dark' and 'Where is He'). There seemed to be a slight flavour of Hans Zimmer's score for Gladiator peppered around this album, most notably in tracks like 'A Defeated Empire', 'Secret Memories' and 'Birth of a Legend'. Overall I enjoyed this album, which is littered with interesting beats and themes.